Improve your voice and data service offering or shore up an existing network when you adopt a refurbished Fujitsu FACTR and use it as an integrated universal digital loop carrier for copper or SONET networks. The FACTR allows you to offer customers a single or integrated combination of Ethernet 10Base-T, DS0, DS1, DS3, DS3 UNI or EC-1 OS-3. Designed for both residential and business customer support, you can affordably grow with a used Fujitsu FACTR that adapts to any flexible, mixed environment. Carriers are putting more through the pipes than ever before and that means you need support to adapt and change immediately instead of having to pull and re-run cable or infrastructure. Give yourself the ideal choice for voice and data in any environment, increasing service offerings and customer service delivery without sacrificing quality. The Fujitsu FACTR is a top investment for carriers looking to provide integrated voice and data services or those in need of a universal digital loop carrier across copper or fiber. It can deliver flexibility with TR-008, GR-303 and INA-based network interface support for Class 5, digital cross-connect, analog and ATM switches. 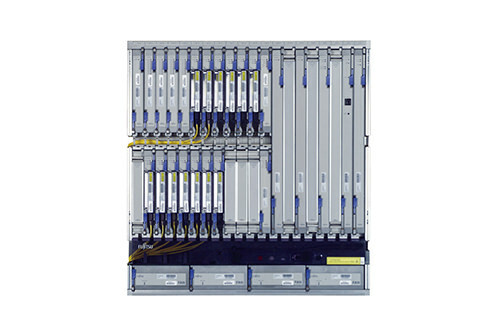 All used Fujitsu FACTR units from Worldwide Supply are brought up to OEM standards so they provide the same modular design that supports scalability and incremental growth, supporting up to 10 additional narrowband shelves to serve up to 1,920 DS0 channels from two seven-foot racks. Enjoy a simpler network with smarter integration for mixed settings when you select a refurbished Fujitsu FACTR.